Have you heard of Climate Week? Read on to find out more, and how we are working to tackle climate change. Have you heard of Climate Week? It started today (16 September) and runs until 23 September. Climate Week includes a number of events and activities that are designed to inspire action on climate change at home and at work. It does a great job to educate us on the importance of reducing emissions and adapting to a changing climate. It aims to engage and inspire all of Scotland to be more “green”. This year we’ve been talking to our very own Green Champions. 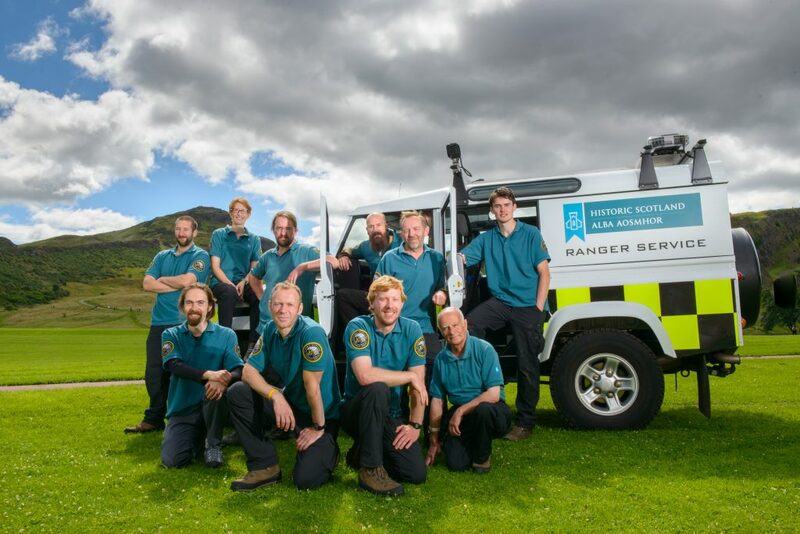 They are a group 60 staff members who work to encourage sustainability across our organisation, Historic Environment Scotland. Robbie is one such champion! We went to chat to him about his work as a Green Champion, as well as being a ranger at one of our sites, Holyrood Park. Want to understand how bumblebees and butterflies help us spot climate change trends? Read on! Can you tell us a little about what you do, Robbie? I’m a Ranger, and have been for the past two years. Before that I was a volunteer for three years. 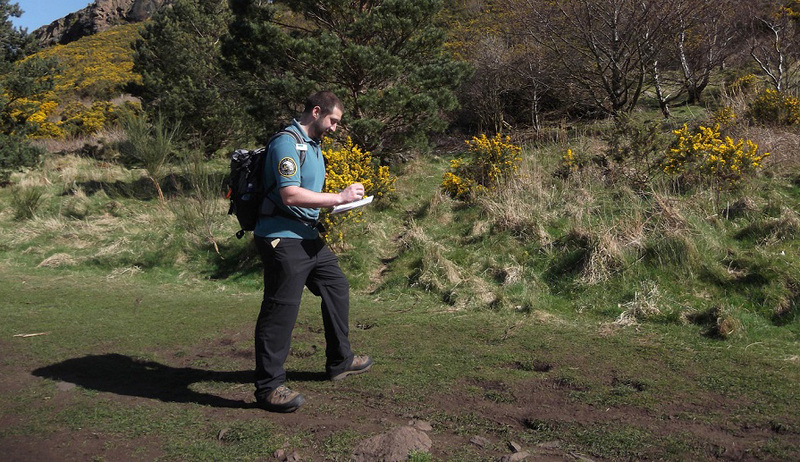 I’m mostly based in Holyrood Park in Edinburgh, I love the job as it’s so wide-ranging. An average day can include things like welcoming visitors, encouraging safe and responsible access, and leading informative activities with groups of all ages from all over the world. I also work to survey, protect and enhance the geology, archaeology and biodiversity of the site. There is never a dull day! What made you want to become one of our green champions? 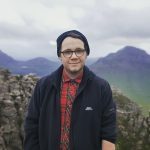 Being mad keen on Natural History and having studied some climatology at university, becoming a green champion felt like a natural fit. My own team inspired me too. They are all so passionate and knowledgeable about green issues. Are there aspects of your job you think directly or indirectly relate to climate change? As a Ranger one of our roles most relevant to climate change is through education and interpretation. Many of our visitors like to find out about how Holyrood’s landscape has changed over time. This is not just about past periods in Earth’s history such as the Ice Ages and the Carboniferous Period. It’s also about how the planet and environment is still changing and how people can protect or damage the world around them. In what ways do you think climate change will impact our historic environment? Even within my short time as a Ranger it is easy to see the evidence that our climate is changing and affecting our historic environment. We regularly survey for invertebrate species within Holyrood, specifically bumblebees and butterflies. This data is fed into national studies to contribute to a much bigger record. Studying these animals is crucial in helping conserve them. These insects are so important. I think summer would be missing something without butterflies adding colour or bumblebees buzzing around. More importantly however, the ecosystem and our food supply is also dependent on pollinating insects. Albert Einstein estimated that without bees, humanity would last less than 4 years. There is also another reason to study butterflies and bumblebees. Due to their short life cycles these animals are very sensitive to any changes to the environment or climate and so are excellent indicator species of the health of our site and indeed our planet. 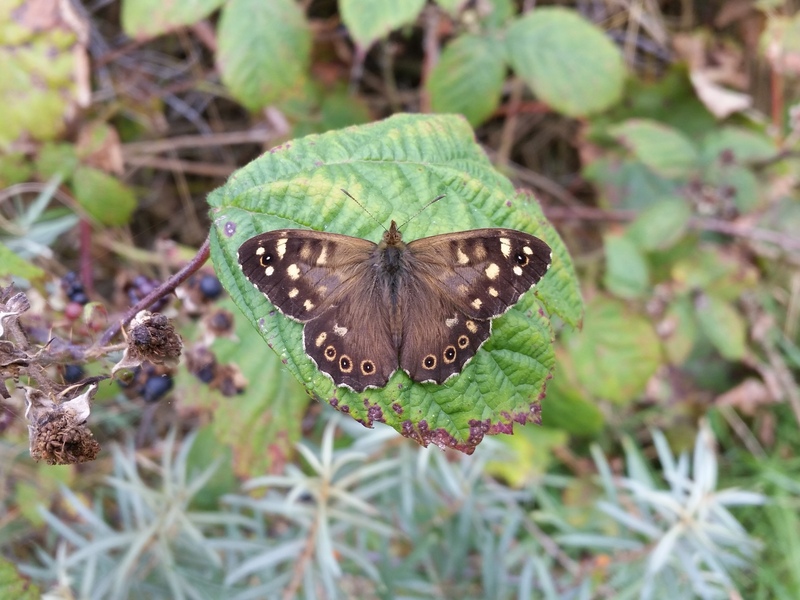 Within the Park we have seen an increase in certain species such as the comma, speckled wood butterfly or the tree bumblebee. Whilst this is exciting for the Park I believe it demonstrates a worrying global trend as it shows populations are moving due to climate change. Take the tree bumblebee for example. Previously this species was only found on continental Europe, in 2001 it was recorded in southern England. 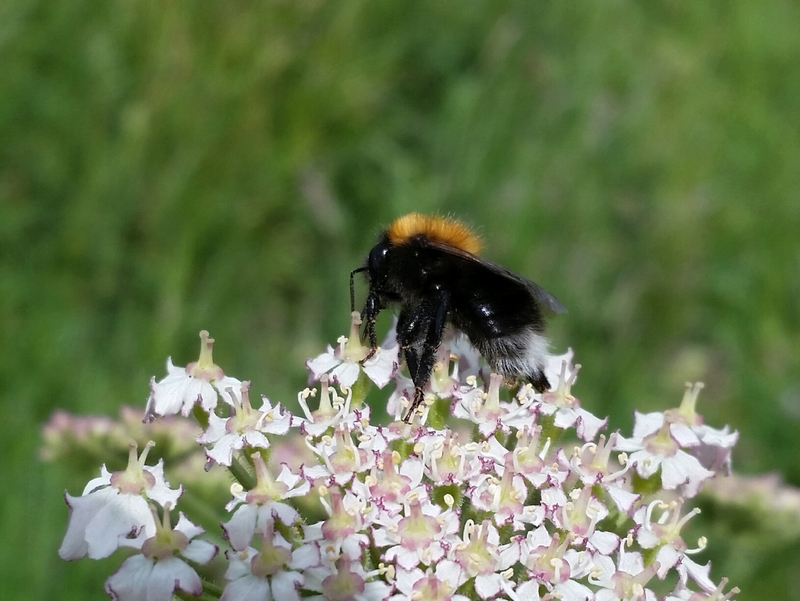 By 2015 the tree bumblebee was found in Holyrood Park. Has your team worked to reduce energy demand or adapt the way you do things to help meet carbon targets? We are implementing a couple of major changes that will enhance sustainability within Holyrood Park. A waste audit has resulted in a better understanding of the type of waste visitors to the park are producing and off the back of this we will be able to provide better recycling facilities. This is not a small undertaking considering the size of Holyrood and the number of visitors that we have. We have also replaced the standard lights within the Park with the more energy efficient LEDs. All of this will help the organisation meet its carbon targets. Thanks to Robbie for his time and great insights this Climate Week. If you enjoyed reading this chat with Robbie, then you’ll want to keep your eye on our blog over the coming week for more “green” conversations. We’ll be talking all things climate change with our other Green Champions.